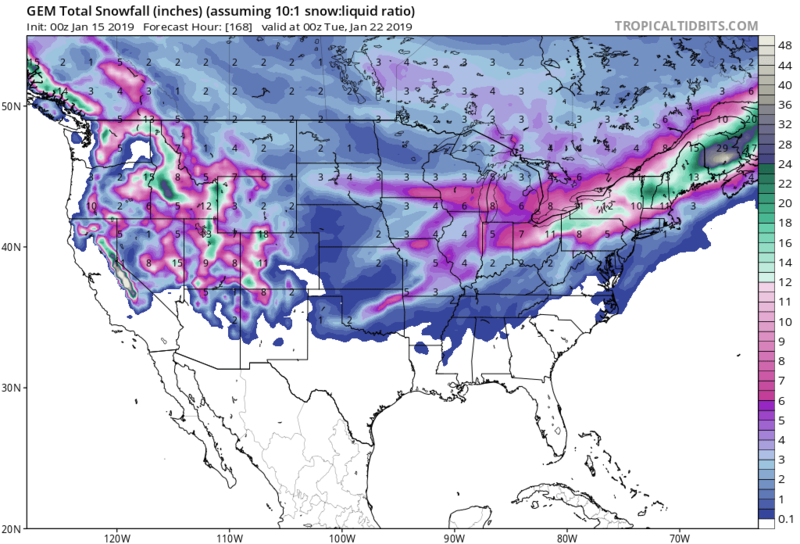 NOAA is forecasting 34-66″ of snow to fall in California’s mountains in the next 3 days. Snow advisories have been issued for both Lake Tahoe and Mammoth and everything in between. Wednesday night through Thursday:  2 to 4 feet possible above 7000 feet. 7000 feet, with 10 to 20 inches elsewhere above 7000 feet. Between 6000 and 7000 feet, up to 6 inches is possible. 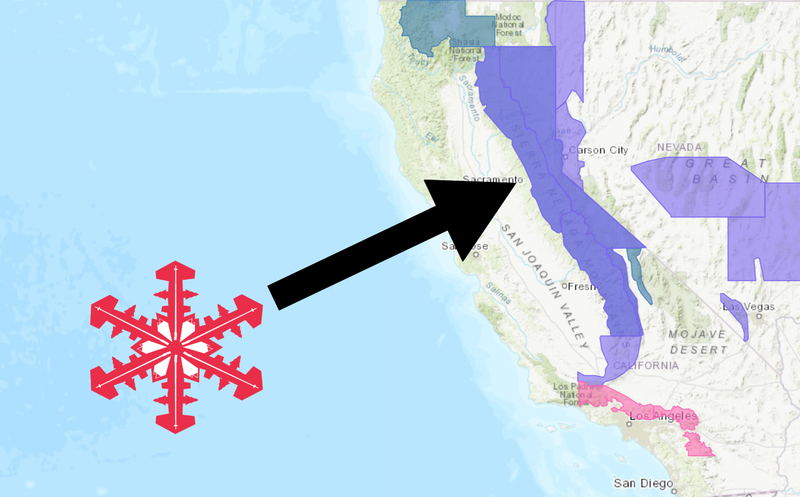 There are currently snow advisories in California from the Oregon border clean down to the border of Mexico. 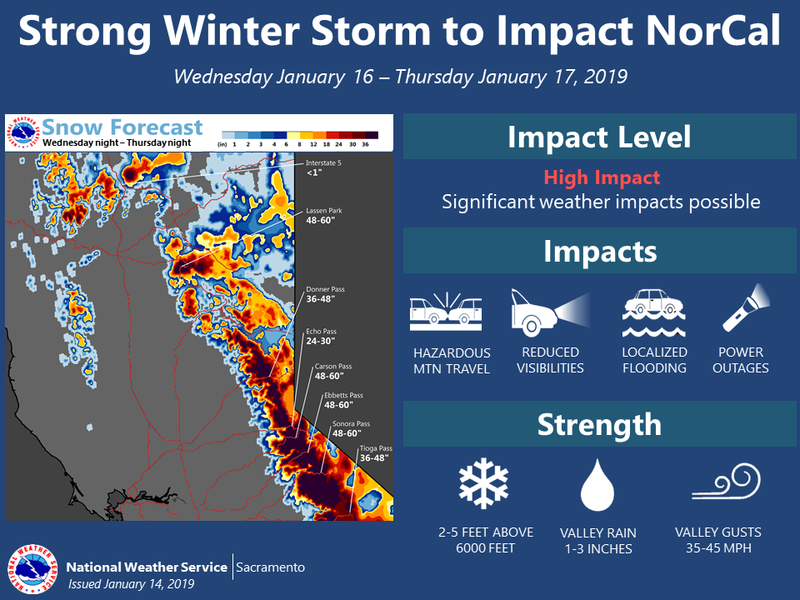 The National Weather Service has issued a Winter Weather Advisory and a Winter Storm Watch for California. The Winter Weather Advisory is in effect Tuesday – Wednesday and the Winter Storm Watch is in effect Wednesday – Thursday. Wednesday Night – Thursday Night is expected to be the highest impact period. High winds and heavy snowfall are expected to result in whiteout conditions. 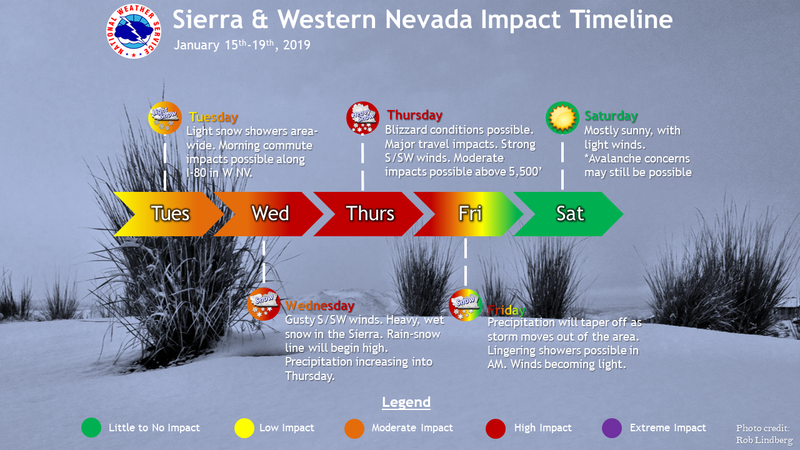 Driving is strongly discouraged over the Sierra Nevada on Thursday. 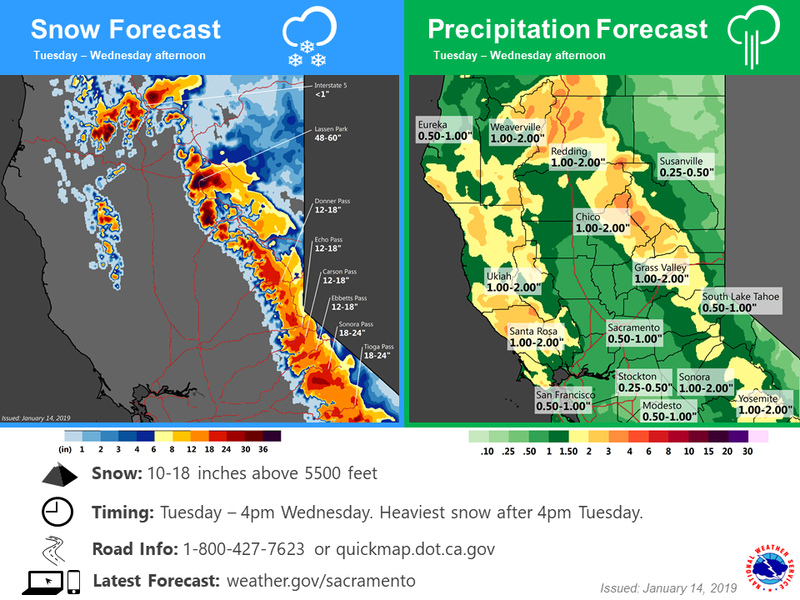 Snow levels are forecasted to hover between 4,500ft and 5,500ft for Tuesday-Wednesday. Snow levels are forecast to rise as high as 6,000ft-7,000ft for Wednesday-Thursday. then possibly rise to7000 feet for about 6 hours before falling again. chance this could occur (25%) keeping it all snow to 6000 feet. * CHANGES...Increased snowfall amounts for tonight. if precipitation remains all snow. Wednesday afternoon through late Thursday night. afternoon through late Thursday night.